has more than 20 years of experience in plant pathology and is one of the most renowned Phytophthora experts in the world. 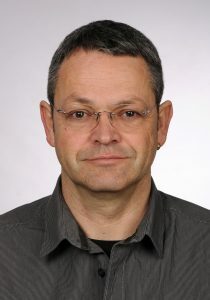 He was awarded the Arnold-Sommerfeld Award of the Bavarian Academy of Sciences. Through his scientific career TJ has studied the diversity, ecology, pathogenicity and evolution of Phytophthora species, their impacts on natural and semi-natural ecosystems, their pathways and possible management and control options for Phytophthora diseases. His major scientific achievements were (1) the first evidences of Phytophthora species being involved in widespread forest declines in Europe; (2) the development of new methods for the isolation of Phytophthora spp. and for the assessment of fine root damages; (3) the coordination of the largest forest disease survey in European history (Alnus mortality in Bavaria) which showed for the first time the importance of the nursery pathway in spread of Phytophthora spp. to natural ecosystems; (4) first demonstration of the interaction between invasive Phytophthora pathogens and climatic extremes triggering a large-scale epidemic forest decline (Fagus sylvatica); (5) the detection and description of more than 30 new Phytophthora species. Stations in his professional career were the Technical University of Munich, the Bavarian State Institute of Forestry, the Centre for Phytophthora Science and Management (Murdoch University, Australia), the University of Extremadura (Plasencia, Spain), and the University of Algarve (Faro, Portugal). TJ published 52 papers in international peer review journals and his current h index at Scopus is 26, with 2185 citations. He was speaker or keynote speaker at 18 international conferences and 12 meetings of international networks. TJ completed the supervision of 9 PhD and 5 Master students, and gave training courses in Phytophthora methods for PhD students, Post-docs and senior researchers from 46 international research institutes. This extensive dedication to postgraduate training and his leading role in the international networks International Union of Forest Research Organizations (IUFRO) Unit 7.02.09 Phytophthora in Forests and Natural Ecosystems (Co-Chair), EU COST Action FP 0801 – Established and Emerging Phytophthora: Increasing Threats to Woodland and Forest Ecosystems in Europe (working group leader) and COST Action FP 1002 – Pathway Evaluation and Pest Risk Management In Transport (Vice-chair) and his participation in the ‘European network on emerging diseases and invasive species threats to European Forest Ecosystems’ and in IUFRO Unit 7.03.12 Alien Invasive Species and International Trade enabled TJ to build up a large network that includes most of the leading international Phytophthora researchers. TJ cooperated with many international research groups on a wide range of Phytophthora topics and conducted research in 16 countries of Europe, in Australia, in North and South America, in Taiwan and Vietnam. TJ participated in 18 national and 4 international research projects in 11 countries. Recently, he was the Principal Investigator of the exploratory project QuerResist Screening of Asian oak species for potential resistance to Phytophthora spp., funded by the Portuguese Foundation for Science and Technology (FCT), and coordinated the Working Group ‘Detection and early warning of fungal and oomycete pathogens’ in the European BiodivERsA R&D project RESIPATH. Jung, T., Cooke, D.E.L., Blaschke, H., Duncan, J.M., Osswald, W. 1999: Phytophthora quercina sp. nov., causing root rot of European oaks. Mycological Research 103: 785-798. Jung, T., Blaschke H., Oßwald, W. 2000: Involvement of Phytophthora species in Central European oak decline and the effect of site factors on the disease. Plant Pathology 49: 706-718. Jung T., Blaschke M. 2004: Phytophthora root and collar rot of alders in Bavaria: distribution, modes of spread, and possible management strategies. Plant Pathology 53: 197-208. Jung T. 2009: Beech decline in Central Europe driven by the interaction between Phytophthora infections and climatic extremes. Forest Pathology 39: 73-94. Jung, T., Burgess T.I. 2009: Re-evaluation of Phytophthora citricola isolates from multiple woody hosts in Europe and North America reveals a new species, Phytophthora plurivora sp. nov. Persoonia 22: 95-110. Jung T., Stukely M.J.C., Hardy G.E.St.J., White D., Paap T., Dunstan W.A., Burgess, T.I. 2011: Multiple new Phytophthora species from ITS Clade 6 associated with natural ecosystems in Australia: evolutionary and ecological implications. Persoonia 26: 13-39. Rea, A.J., Burgess, T.I., Hardy, G.E.St.J., Stukely, M.J.C., Jung, T. 2011: Two novel and potentially endemic species of Phytophthora associated with episodic dieback of kwongan vegetation in the south-west of Western Australia. Plant Pathology 60: 1055-1068. Jung, T., Orlikowski, L., Henricot, B., et al. 2016: Widespread Phytophthora infestations in European nurseries put forest, semi-natural and horticultural ecosystems at high risk of Phytophthora diseases. Forest Pathology 46: 134–163. Jung, T., Chang, T.-T., Bakonyi, J., Seress, D., Pérez-Sierra, A., Yang, X., Hong, C., Scanu, B., Fu, C.H., Hsueh, K.-L, Maia, C., Abad-Campos, P., Léon, M. , Horta Jung, M. 2016: Diversity of Phytophthora species in natural ecosystems of Taiwan and association with disease symptoms. Plant Pathology 66: 194-211. Jung, T., Horta Jung, M., Scanu, B., Seress, D., Kovács, D.M., Maia, C., Pérez-Sierra, A., Chang, T.-T., Chandelier, A., Heungens, A., van Poucke, K., Abad-Campos, P., Léon, M., Cacciola, S.O., Bakonyi, J. 2017: Six new Phytophthora species from ITS Clade 7a including two sexually functional heterothallic hybrid species detected in natural ecosystems in Taiwan. Persoonia 38: 100-135. 1998–2001: R&D project PATHOAK, ‘FAIR CT97 3926’ ‘Long term dynamics of oak ecosystems: Assessment of the role of root pathogens and environmental constraints as interacting decline inducing factors’. Funded by the European Commission. 2001-2004: R&D project F45 II ‘Development of a management concept for the Phytophthora disease of alders in Bavaria’. In this project TJ coordinated and realised Phytophthora surveys in more than 3200 forest stands and in riparian stands along 20000 kilometres of rivers. Funded by the Bavarian State Ministry for Agriculture and Forestry, Munich, Germany. 2013-2014: Exploratory project QuerResist ‘Screening of Asian oak species for potential resistance to Phytophthora’ (EXPL/AGR-FOR/1304/2012). Funded by the Portuguese Foundation for Science and Technology (FCT). 2014-2016: R&D project RESIPATH: Responses of European Forests and Society to Invasive Pathogens. Funded by FCT in the frame of the BiodivERsA programme. 2015-2019: Horizon 2020 project POnTE ‘Pest Organisms Threatening Europe’. Funded by the European Commission.